BOULDER Salsa, Bachata, Rueda and West Coast Swing - Lessons & Dancing! 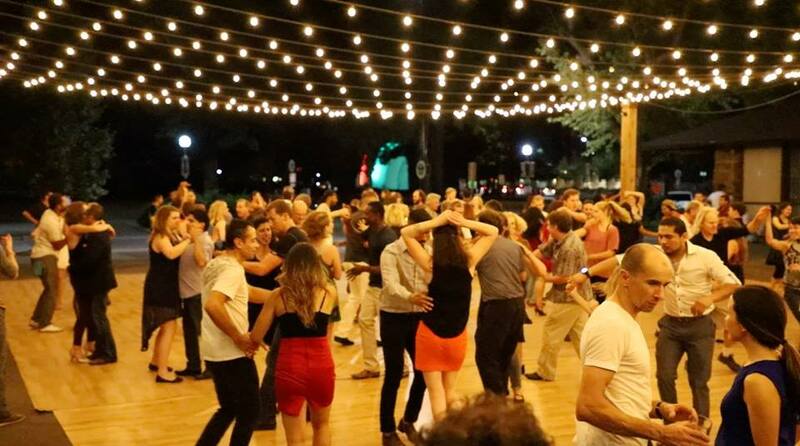 Salsa & Bachata Under the Stars! DENVER Salsa Sundays at La Rumba! SEE YOU AGAIN SUMMER 2019! Join us for a magical evening of Dancing Under the Stars! We typically get 150 to 200 people! Come and join the fun outside on a huge dance floor! *We need volunteers to help set up at 6pm and teardown at 10pm (message us if you would like to volunteer). *Please bring water bottles! Water station is available but the restaurant does not supply cups. *Please bring chairs if you would like to sit. *Alcohol & food are available at the Tea House. All drinks except water must be kept on the patio. Donations are greatly appreciated so that we can keep these dances going! To see the full schedule of Tea House Plaza Dances go to www.teahouseplazadances.com and check out the calendar!